Solar Power Kits | Solar Panels | Solar Power | Site Map | Bookmark This Site! With global greenhouse gases and global warming rising, pollution at all-time highs, the world's population leaving a mammoth carbon footprint, and precious non-renewable resources dipping to alarmingly low levels, the need for power from renewable resources and improved clean energy standards is greater than ever before. Fortunately, solar energy technology continues to accomplish breakthrough after breakthrough, granting a wider variety of solar power kits backed by improved durability, stability, efficiency, practicality and cost effectiveness. Consumers can take advantage of flexible options throughout the latest lines of commercial and personal solar power kits. These options include the ability to select solar panel kits for exact application purposes. Among the most targeted and direct means of deciding and finding optimal solar energy kits is by first establishing exactly what you would like to accomplish with your setup. For example, many businesses have been able to lighten some of their overhead simply by installing a commercial back-up solar power kit. This eliminates the need to have a back-up generator drawing any additional power form the main system and helps reduce overall energy consumption. Similarly, homeowners can install standalone solar power systems as a means of emergency preparedness in the case of sudden outages or power-usage restrictions implemented by utility companies in times of especially high energy usage. Another useful application for standalone solar power kits is for off-grid power needs, such as rural settings where utility hookups are not available. These systems allow individuals and businesses to set up rural homes, seasonal shelters, and field offices with exceptional convenience. Another primary application for solar power kits includes comprehensive hot water heating. These systems are available as several different flexible designs, allowing homeowners and businesses to select their unit based on factors such as whether they'd simply like to have a hot-water reserve to kick in when their standard, grid-provided hot water storage has been exhausted or for use as a dedicated system; installed to continuously provide the entire structure with hot water. Today's extensive selection of solar power kits also grants simple yet highly effective central heating. These too feature flexible setup options, allowing you to choose to use them as your dedicated heat source, as part of hybrid or switched heating systems, or as a back-up heat source in the case of emergency power outages. While factors such as the design of your home and the annual level of sun exposure are still critical factors that you will need to carefully consider before purchasing your kit, the ability to select from a number of solar power kits with varying size solar panels and types of mounting systems makes it much more convenient to install a new solar power system regardless of your home or business' setup or location. For example, you can choose to opt for larger roof solar panels, tromble-wall mounted panels that capitalize on your southern exposure to produce conductive heating, and thin-film solar panels for sunspace structures intended for external-to-internal ventilated heating. The solar power kit industry continues to experience exponential growth which means new solar panel technologies and applications are developed on a consistent basis. Therefore, make sure to take a sufficient amount of time to research your options to get the most cost-effective and efficient solution. 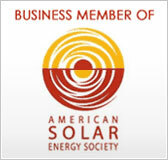 And never hesitate to ask a solar power kit specialist about your best options. Grid tie solar panel kits are a great way to get started creating a solar friendly home. 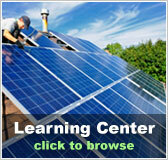 DIY solar panel kits allow you to assemble your own solar panel kits and start going green. You can take advantage of flexible options for home solar panel kits, ranging from DIY to advanced thin-film solar panel setups. 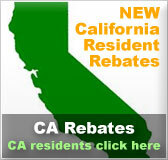 Install cheap solar panel kits built for efficiency and stability at budget-friendly pricing. 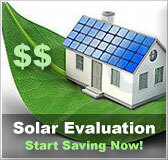 A solar power home saves money on energy bills by utilizing safe and clean energy from the sun.